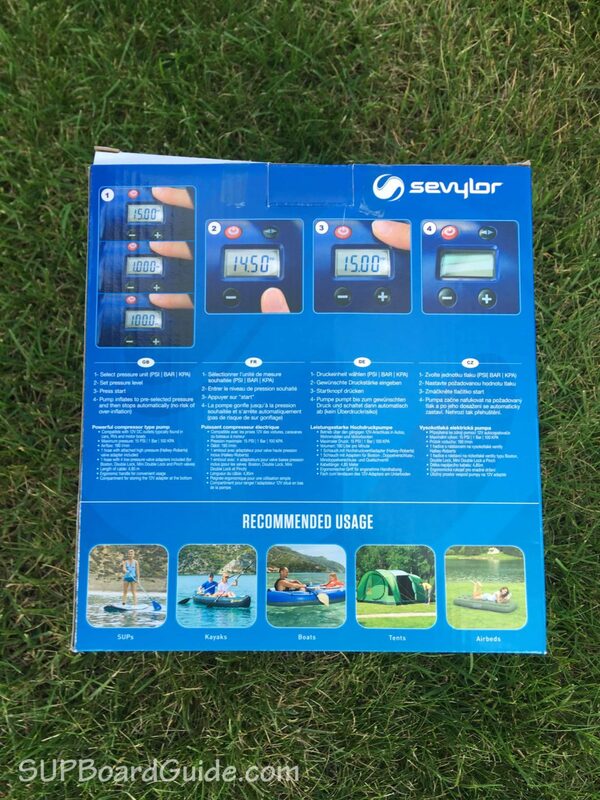 If you’re a regular reader of SUPBoardGuide.com, you know that I’m a huge fan of inflatable paddle boards. However, there is one obvious drawback to inflatables. They have to be pumped up…. Given that I pump up iSUPs a few times a week I figured it was time for an electric pump. 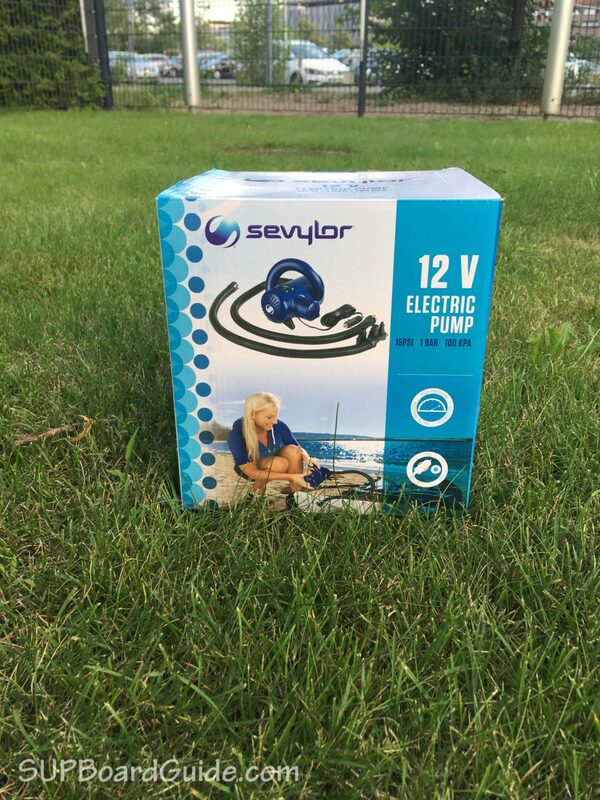 I bought the Sevylor 12V SUP Pump hoping it would make my life a little easier. Spoiler alert: It didn’t. But let’s start at the beginning. 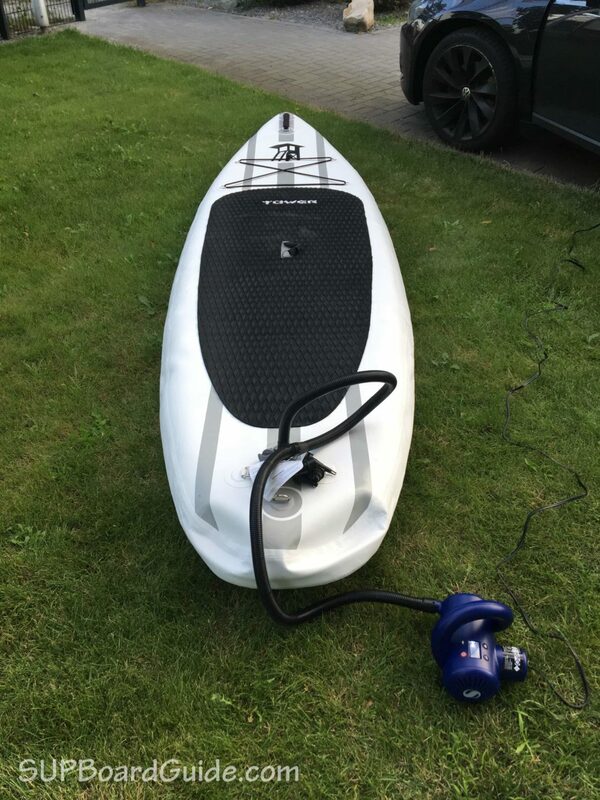 The pump is one of the more affordable electric SUP pumps you can buy. It’s not the cheapest but with an RRP of $69.99 it also doesn’t break the bank. There are a bunch of negative reviews on Amazon but also a ton of good ones so I thought I might as well give it a shot. The good part? The power cord is really long. I’d guess it’s about 4 meters (13 feet) so you can easily plug it into your cars’ 12v outlet and have plenty of cord to reach your boards. Using the pump is also very straightforward. Turn it on – Select PSI, KPA or BAR – Use the plus and minus buttons to select the amount of PSI you want your board inflated to – Hit the power button again. In theory, your board will then be inflated to a max of 15 PSI within a couple of minutes. It all looked pretty promising at first. The board seemed to inflate at about the same speed you’d get with a manual pump. The pump was fairly loud and seemed to get pretty warm though. At about 10 PSI the hose completely came off. It looks like the glue that’s supposed to secure the piece connected to the pump melted. I checked out Amazon, and it seems to be a very common issue. 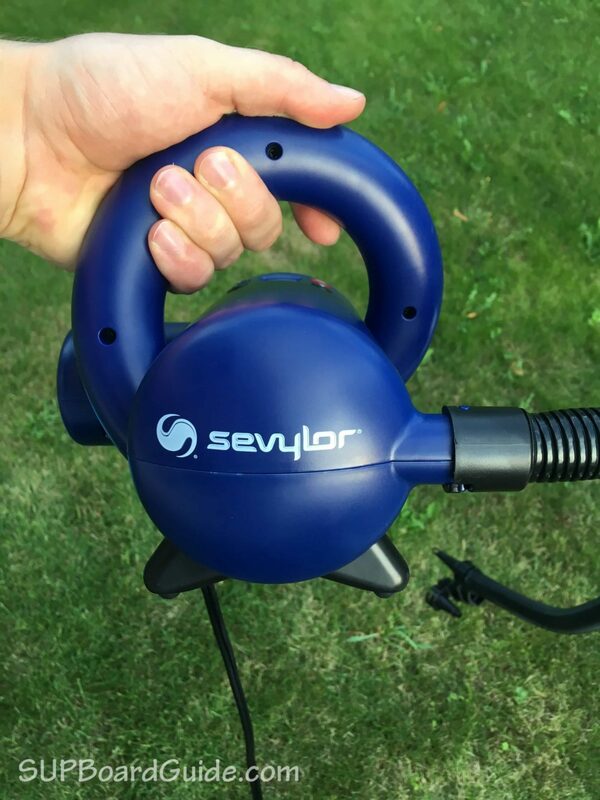 Tons and tons of people are having the same issue, and Sevylor doesn’t seem to care or be able to fix it. 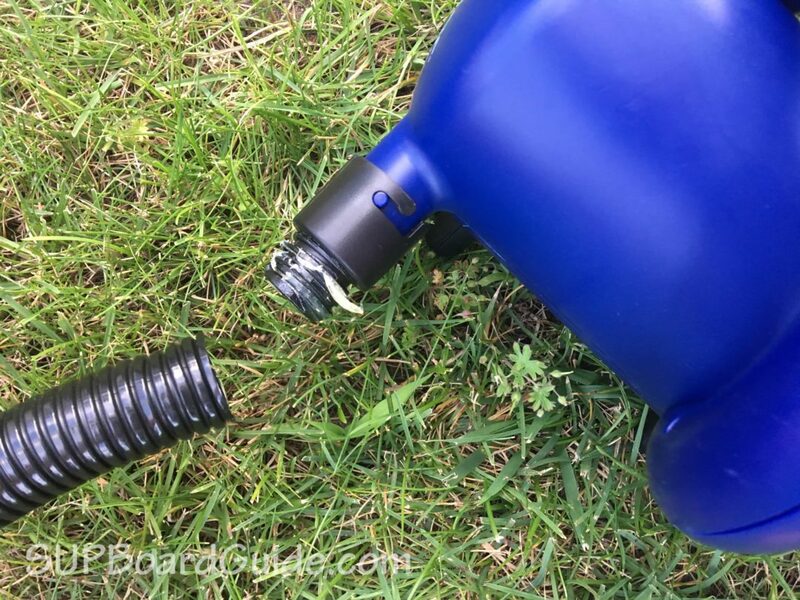 I’m going to return the pump and unfortunately, cannot recommend anyone buy it. It seems like all the bad reviews you read on Amazon are true. I will be testing a few different electric pumps until I find a good one and keep you guys posted if I find one that works well. Thanks for this review, i was just about ready to buy this pump on amazon. Any luck on an electric pump someone can recommend? Check out the Bravo BTP 12. It’s not the cheapest option but the only one we found to be high quality and reliable so far.